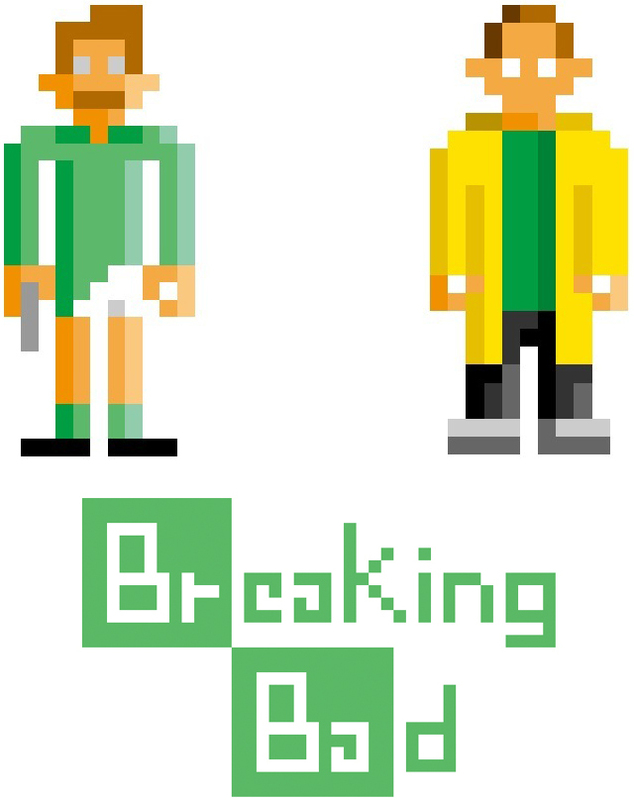 Rosario, Argentina graphic designer and illustrator Pablo Cialoni (aka “Pahito“) has created a great series of illustrations titled Breaking Bit that depicts 8-bit pixel art versions of characters from the critically-acclaimed AMC television series Breaking Bad. 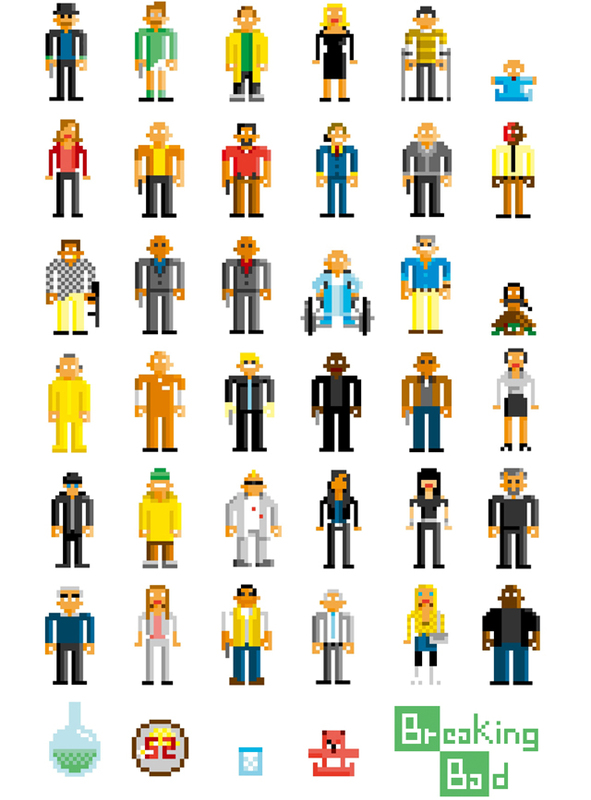 For a full list of characters and their names, Pablo each labeled on Behance. Prints, iPhone cases / skins, tote bags and apparel are available to purchase on Society6.